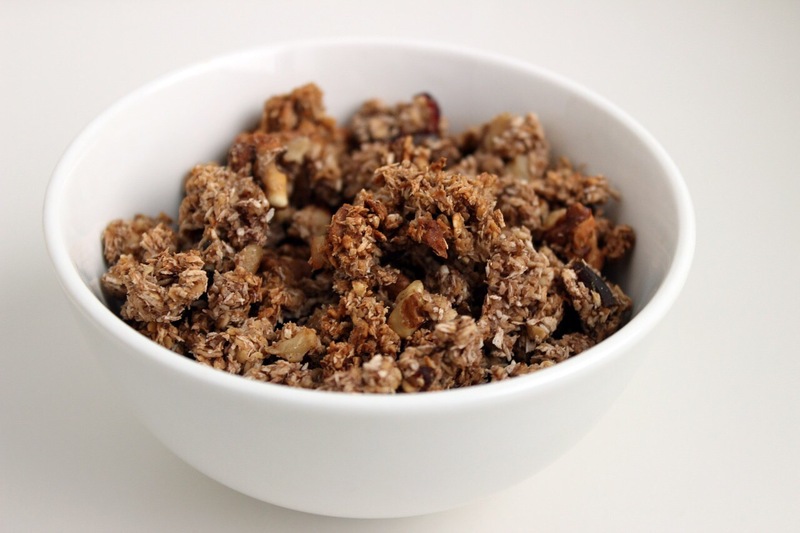 Share this easy, yummy, healthy almond coconut granola recipe you and your kids will love! I’m always on the lookout for healthy, yummy foods my whole family will enjoy so I don’t have to be a short order cook (Moms & Dads, I know you get this!). So here’s a favorite that’s simply delish from eatrightontario.com. Let’s do this! Don’t forget to preheat your oven to 250°F (121°C). Combine oats, almonds, coconut, flax seed, sugar, maple syrup and oil in a large bowl and stir together until everything is well coated. Let this mixture stand for 15 minutes. Spread mixture onto a rimmed baking sheet and bake for about 1 hour, stirring every 15 minutes until golden. Remove granola from the oven and let cool slightly then stir in apricots and cranberries. Previous postChange these 5 unhealthy habits immediately (you might not even realize you’re doing them). Next post5 easy steps to eating mindfully (and eating less!) 30 second read.